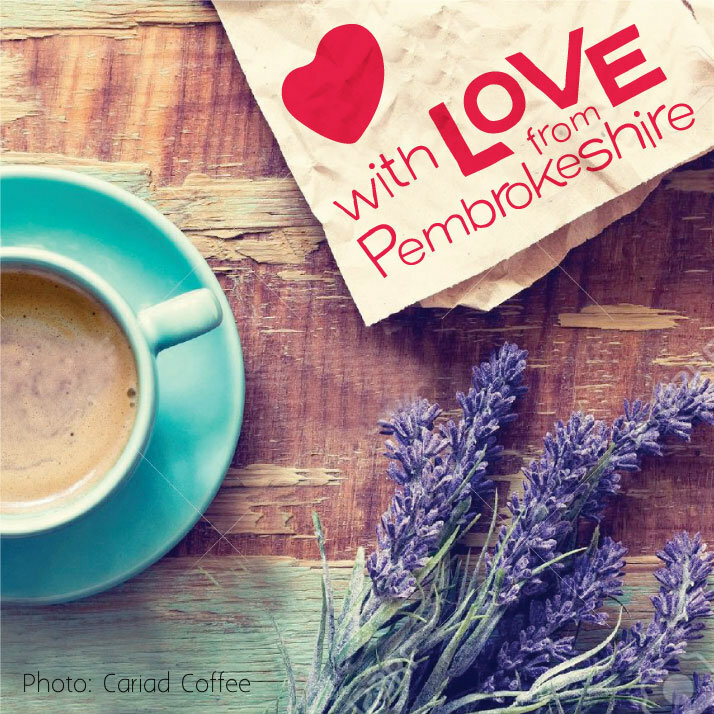 The coffee scene is growing rapidly in Wales; with high quality blends from across the world, roasted here in Wales. We really love seeing more and more coffee companies here in Wales are choosing to sell Fairtrade certified coffee. One of our favourites is Cariad Coffee. This delicious, triple certified coffee blends beans from Sumatra, Ethiopia and Central America. Cariad means love in Welsh, so what better a way to show the coffee fan in your life some love this Christmas? The founder of Kaligarh was born & raised on the windy coast of Wales. 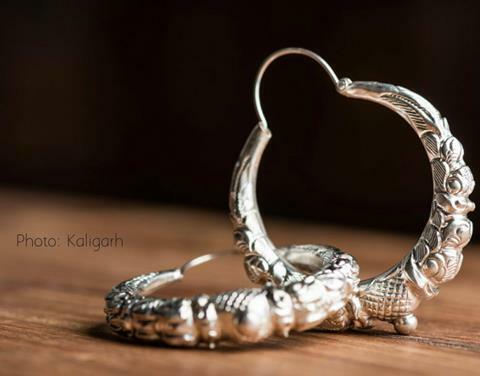 Of Nepali and northeast Indian heritage, Jyoti founded Kaligarh in 2013. Kaligarh as a company pays tribute to the art and artisans of the Himalayan region. Their beautiful collections are BAFTS certified. Each product is handmade; making unique, beautiful pieces to be treasured! Buy online. Babi Pur is the place to go in Wales for ethically sourced items for kids. Their range extends from organic clothing, to a range of gadgets for parents and of course a wide range of fun toys. From soft toys to wonderfully hand crafted wooden toys, there’s sure to be a Fair Trade gift to entertain little ones. 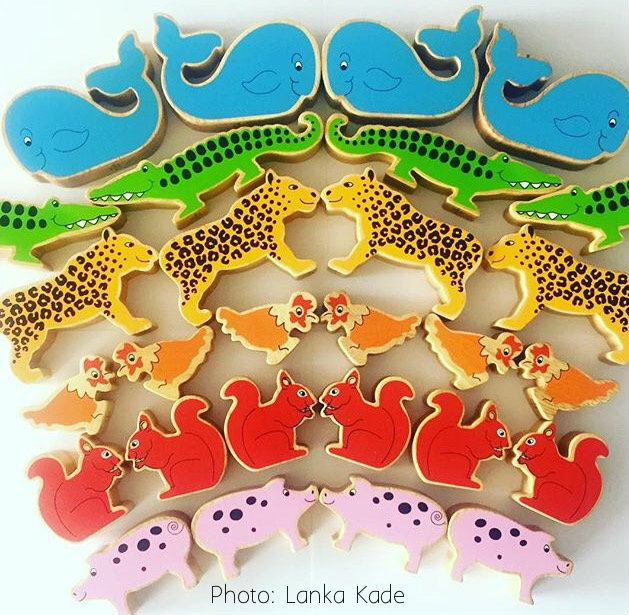 Some of our favourites are these colourful animals made in Sri Lanka by Lanka Kade. A recent launch of a new ethical t-shirt company in Cardiff comes just in time for the festive season. 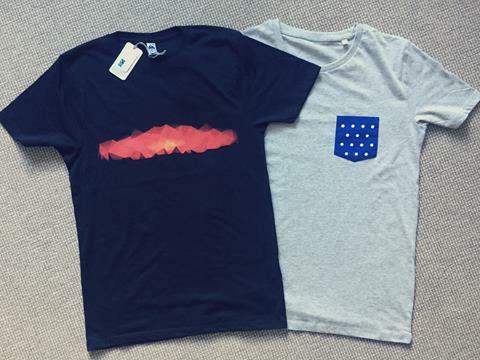 These are the first of Aled’s new collection – cool, contemporary designs on Fairtrade/ Organic certified cotton t-shirts. Aled says: ‘they are printed on men’s sized t-shirts, but they’re designed for everyone!’ Available to buy from Fair Do’s in Cardiff or order directly by emailing aled_p@hotmail.com. Love Zimbabwe are a BAFTS certified trading charity based in Abergavenny, Monmouthshire. They work with communities in rural Zimbabwe to create fairly traded beautiful crafts and fabrics for the global market. 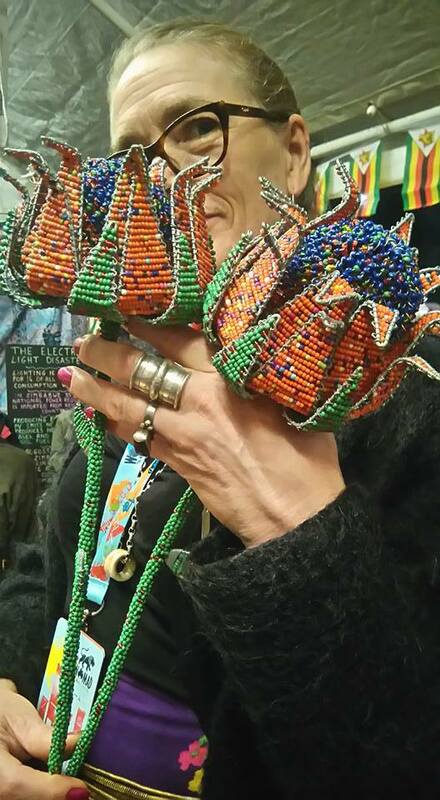 They have quirky animal sculptures perfect for gardens, as well as these beaded flowers – sure to brighten any garden through the darker winter months. They are available to buy from their Etsy shop online or at Fair and Fabulous in Newcastle Emlyn and Fair Do’s in Cardiff. Our friends at Bala Sport recently introduced a new range of Fairtrade rugby balls. Designed in Glasgow and produced in India, the Bala Sport Fairtrade rugby balls launched in Wales earlier this year! From a mini ball, to a state of the art professional match ball – there’s plenty to choose from. Wrong shaped ball for you? Not to worry, Bala Sport have a fantastic range of Fairtrade footballs and more. Check out their website. If you’re on a budget, there are many unique, fun and affordable Fair Trade gifts available in local shops across Wales – like this little elephant made from Flip Flops recycled from the beaches of Kenya. These are available in Eighteen Rabbit Shop in Hay on Wye as well as other Fair Trade shops across Wales. Find a full list of shops here. Giving gifts with the knowledge that by doing so you are improving the lives of those in need as well as making your nearest and dearest happy will double the feel-good factor this Christmas. Enjoy Christmas the Fair Trade way!